Dale Trendall spent his undergraduate years at the University of Otago (1926–29) before going on to the University of Cambridge and teaching at Australian universities for his entire career. His area of expertise was south Italian pottery. 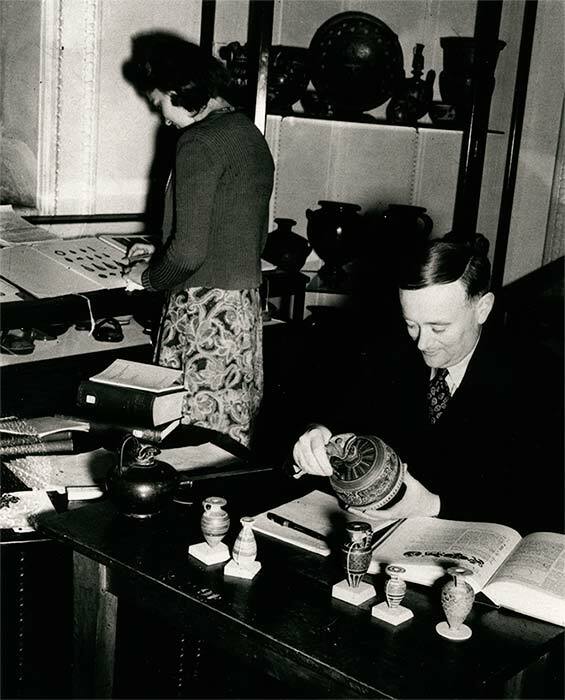 This is Trendall on a visit back to Otago in 1949, classifying vases at the Otago Museum. The vase he is holding is Corinthian, dating from around 600 BC.